In April 2017, Walmart announced an ambitious goal to reduce emissions by one billion tons (a “gigaton”). The company invited key suppliers to join Project Gigaton by making climate commitments that will help the company reach its target by 2030. That's where The Sustainability Consortium, founded through a partnership between ASU and the University of Arkansas, comes in. The organization will act as an official measurement partner, collecting data on emissions – both upstream and downstream in the value chain of products – from participating Walmart suppliers. “Climate change is one of the gravest threats we face. It also presents unlimited opportunities for companies that choose to lead," said Euan Murray, TSC Chief Executive. 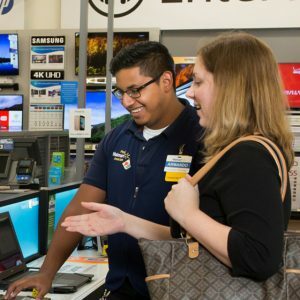 "By taking a science-based approach to set such an audacious goal, Walmart cements its place as a leader with Project Gigaton. The Sustainability Consortium is proud to support Walmart in this critical initiative and we look forward to helping them deliver."